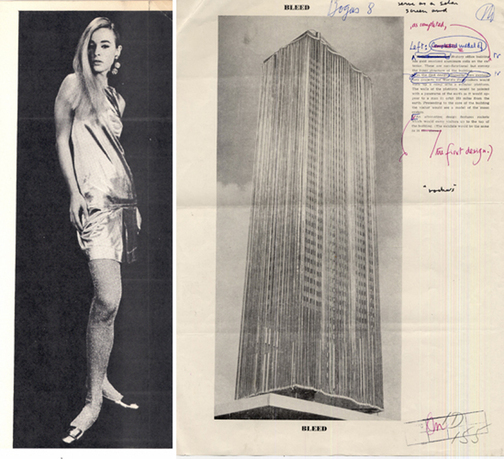 Sarah Entwistle, The gradual construction of a great and valid architecture, collage, 2011, architectural marquette of Astor Tower, proposed World’s Tallest Building, c. 1969, Times Square, New York, and photographic portrait of Francine, c. 1970, New York. Please send this book to my mother presents a radical form of the architectural monograph. Taking translation as its starting point for the architectural and biographical process, the book explores both textual and visual interpretations of Clive Entwistle's (1916–1976) architectural imaginings. 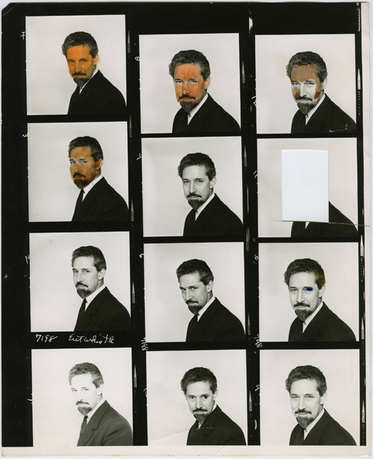 In 2010, Entwistle's astounding personal effects emerged from a Manhattan lockup, retained there since his death. Le Corbusier described Entwistle's competition entry for the Crystal Palace as “one of the great projects of our time.” Following the inclusion of his work in MoMa's Visionary Architecture in 1960, Entwistle relocated to New York. His most consistent trait, however, was his failure to realize his ambitious visions. 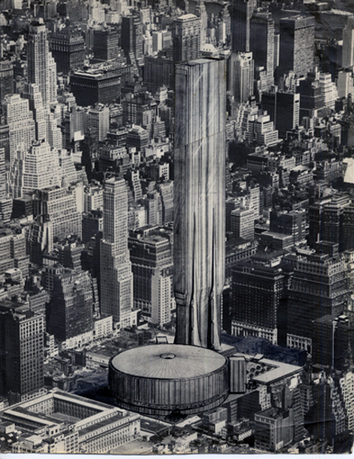 Clive Entwistle has been “lost in the gloam of history.” The archive of his unrealized projects—notably, the Crystal Palace, 1946; Liverpool Cathedral, 1960; Madison Square Garden, 1962; Rocket Ride at the New York World’s Fair, 1964; and Astor Tower, New York, 1968—presents a tragedy of non-fulfillment. This monograph acts as a final translation of Entwistle's forgotten legacy and reinserts him into the unstable narrative of history. Sarah Entwistle is an architect, academic, and visual artist based in London. She employs text, collage, and mixed-media installation to explore themes around biography and historical narrative in the context of architectural modernism. 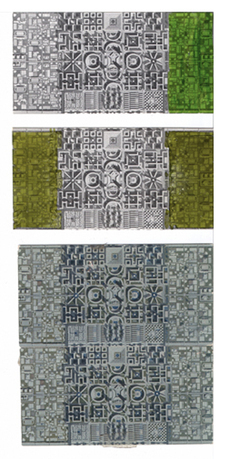 She studied at the Bartlett School, UCL and the Architecture Association, London. 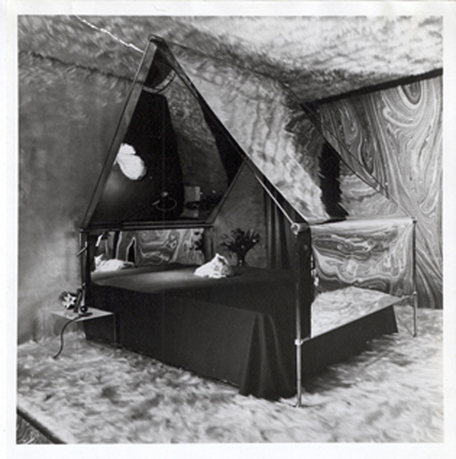 Her solo show In Short, in Theory and with a Bit of Luck at the Architectural Association marked the beginning of a major project exploring the legacy of her grandfather, the architect and polymath, Clive Entwistle. She is the 2014 recipient of the Le Corbusier Foundation Grant for Visual Artists and is scheduled for a solo show at the Foundation in 2015.